Get the Ichimoku Kinko Hyo EA 2.0! The Ichimoku Kinko Hyo Indicator was developed in the late 1930s by Goichi Hosoda and is a Moving Average based trend indicator. It is based on a cloud (called Kumo), which is between the Senkou span A and the Senkou span B line, the Tenkan-sen and Kijun-sen line and finally the Chikou span line. It is included in Metatrader 4 and 5. The default settings are: Tenkan-sen 9, Kijun-sen 26, Senkou Span B 52. The Ichimoku Kinko Hyo EA 2.0 (also called Ichimoku EA) is a forex robot based on the Ichimoku Cloud, the Tenkan-sen and Kijun-sen and the Chikou Span. 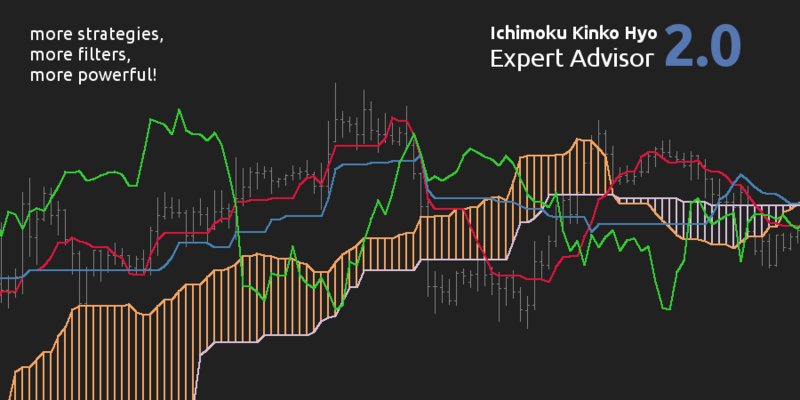 It includes 9 Ichimoku based entry strategies, 9 Ichimoku based entry filters and 5 different exit strategies for the Advanced and Pro version (optional). The EA trades if Tenkan-sen and Kijun-sen lines are equal. The EA trades the Tenkan-sen and Kijun-sen if the Tenkan-sen is above the Kijun-sen. The EA trades the Breakout of the cloud if the price gets above the cloud. The EA enters a trade if the price breaks through the high of the candle which broke through the cloud. 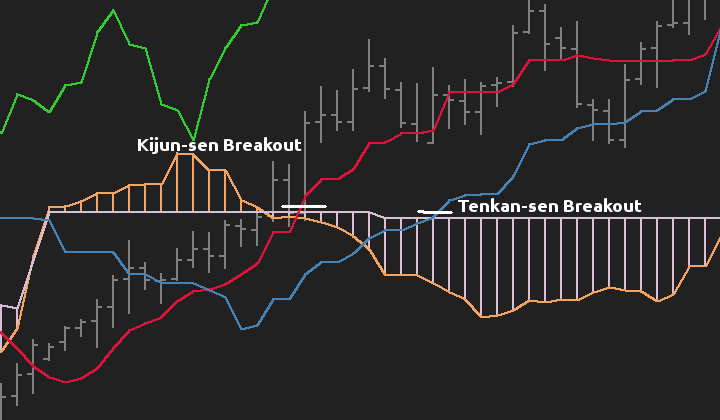 Trades the breakout of the Tenkan-sen line out of the cloud. Trades the breakout of the Kijun-sen line out of the cloud. 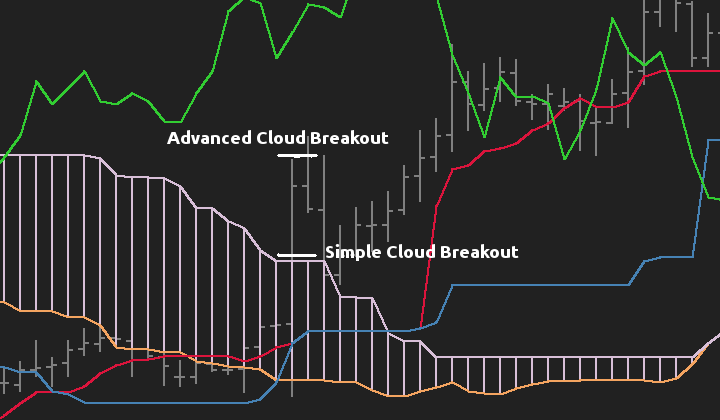 Trades the breakout of the Chikou Span line out of the cloud. 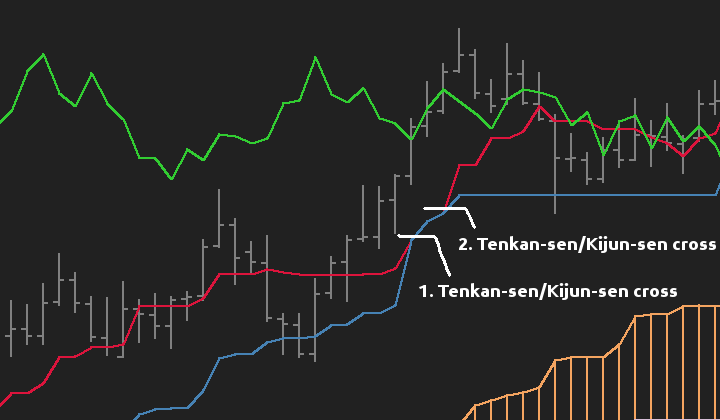 Enters a buy trade if the Tenkan-sen and Kijun-sen are above the cloud, if the Tenkan-sen is above the Kijun-sen, if the ChikouSpan is above the cloud, if the Cloud is in an uptrend and if the current price is above the cloud. It is recommended to not use any filter with this strategy. This strategy only uses the entry filters to enter a trade. If the filter you choose is true, the Ichimoku EA will place a trade (use at least one entry filter). It is recommended to combine this strategy with an exit strategy and no StopLoss, no TakeProfit and no Trailing functions (only set a high StopLoss as safety net). The Ichimoku Kinko Hyo EA 2.0 is included in the EA Starter Bundle. You can install the Ichimoku Kinko Hyo EA 2.0 on limitless demo and live accounts. Note that this Metatrader Expert Advisor does not draw any indicator on the chart. You do not understand all the functions? Take a look at our function glossary. This EA is not pre-optimized. Please read the article about optimization first. The license of every Expert Advisor you download is time limited, but you can re-download newer versions any time in your purchase history. Fixed: Kijun-sen above/below cloud did not work properly. Looking for more Free Expert Advisors? Can you please respond on my post in the forum? I’ve started a new topic in the forum have you had a moment to look at it? I just looked at it. Sorry for the delay. I’m using the advanced version and would like to use the Close below/above Tenkan-sen and/or Close below/above Kijun-sen exit strategy but it down not work. So my problem is when it closes using the exit mentioned above, it just opens and closes trades every second, if that is clear I hope you can see that the exit strategy does not work and I desperately need it for my system. Can you help? I have a few days left before I can get a refund, and if this does not work then I might as well just use the basic EA. Can you open a new topic in the forum and upload your settings as a .set file? i just download basic version. how to set it. Hello Yannick, Royal here from Johannesburg, South Africa. I downloaded your basic version of the Ichimoku EA and i am loving it. I wonder how the pro version is which i am planning to buy soon. I was just wondering if it is possible to incorporate the RSI Indicator into this EA, I will explain why. The RSI Indicator helps with not taking BUY/LONG position when the market is overbought and not to SELL/SHORT when the market is oversold. Manually when entering an existing uptrend to buy, you would wait for the market to retrace back downwards when it is overbought(RSI above 50%) to RSI below 50%, vise versa when entering an existing downtrend for a sell, you wait for the market to retrace back upwards when it is oversold(RSI below 50%) to RSI above 50%. Now after all Ichimoku EA filters have passed and the Ichimoku EA is ready to take a position, you do this final check to see if RSI is below 50% for a BUY and above 50% for a SELL. strategies which i have not yet tested. Thank you again, and hope to here from you soon. Theoretically it would be possible to add an RSI filter to the EA, but unfortunately, I do not make custom modifications at the moment. Thank you for the reply, can you refer me to anyone who can do it for me once i have bought the pro version. Unfortunately not. Since I do not offer the source code, no one can modify it. But later if you want to add a feature, you can hire another programmer which builds an EA based on what you need. The Ichimoku EA is surely a great starting point. I discovered that there should be no problem if the entry filter is working properly on the “Entry Strategy”, there is a parameter called “Price is above/below Tenkan-sen”. If i set it to false, it should not allow an entry when price is above/below Tenkan-sen because at that point the market is overbought or oversold. At the moment the EA is taking position even if you set it to true or false. Can you perhaps look into it, then the problem is potentially fixed and there won’t be need for any custom amendments. The best way to look into this is to open a new topic in the forum. Comment puis tester l’efficacité du Pro ? The Ichimoku EA is not pre-optimized. You have to optimize it first using the strategy tester. Hello Dev Thanks for your tool, I can’t get the EA display in my chart, can you tell what can be possible causes? The EA does not display anything. You have to attach the Ichimoku Indicator manually on the chart. Yes, all EAs are still working. Does the ea work with renko bars? hi may i ask it is life time once pay? Yes, it is a one time payment. while it works well on the other pair. Please use the forum in order to help you and provide your settings. Hi Yannick (newbie here!). Awesome EA! Check out the functions glossary. There is everything you need to know. I’m using Pro. Version, it’s verey good and doing well. Could you please to add an option for determining TP & SL by the current ATR value automatically? I think it will be more flexible during long term. The EA has a ATR Trailing Stop function which will place the SL based on the current ATR value. You will get the EA instantly. how to increased the number of trade on the input. This EA does only manage one trade at the time. Hello! I am learning, and i speak portuguese …so its one more chalenge… I would like to know if i buy Advanced version ….if you send to me some good configurations for forex …Thanks! Unfortunately, I do not provide any settings. I have dragged the expert adviser (Ichimoku) into the chart area from the expert file (window) after down loading the basic, and the icon is smiling, but there is no trades that is taking place. Help. Do you have the pro version? Have you adjusted the maxSpread parameter? Hi , can i use this Ichimoko EA as a indicator? i dont like EA. i need Indicator , which show signals on chart and pop up. The indicator is included in MT4 by default. But it does not open pop-ups or sends alerts. Hi, Can the EA scan and execute order/exit on multiple instruments (forex currency pairs, equities, commodities and etc)? Yes, but it requires a bit more tweak in the settings for non-forex symbols. Just wanted to know if the Pro version works with indices, Gold and Crude oil or commodities on the Forex.cm platform. Yes, it should work. Also, the basic EA should work. You may just have to multiply all pip-based values (SL, TP, Slippage etc.) by 10 or 100 for some brokers. Guys, Recommend me good EA and versio like PRO/Basic..I will try it in demo..
du prix. .le contraire pour la vente. The exit strategy “Close below/above Kijun-sen” does the inverse of what you are looking for. Hope this helps you. I Just buy the Pro Version but not working. THe basic is working Good. Not the Pro. Maybe this is because of the spreadFilter included in the pro version. Increase its value and try it again. Are you making profits with this expert advisor ? Can you please explain what is the function of Virtual take profit (pips) and Virtual stop loss (pips)? If you set the Virtual TP to 50, the EA will close the trade as soon as the trade is >50pips in profit. The TP and SL are hidden from your broker. If the markets moves fast, the EA will maybe close the trade some pips more in profit e.g. 52 or 55 pips. Open the Expert Properties and in the “Common” tab check “Allow live trading”. I bought the Ichimoku EA Pro. I intended to have it attached to an M1 chart for long positions and at the same time attached to another M1 chart of the same asset for short positions. The same asset, the same timeframe, one chart for long positions, the other for short positions. I’ve tried but it did not work: only works on one of the charts even if there is no other open position. Assign different magic numbers to each of the charts. Yes, this should work if you use different Magic Numbers. So can you say to me wich setting is the best and profitable in M5 time frame ? I do not provide any settings. Please use the strategy tester to optimize the EA. Did you found the proper settings? Do paid versions require additional payments or are they one time paid products? It’s a one time payment. I do not provide any settings. You have to use the strategy tester to optimize it. Feel free to do so. I accept PayPal and credit cards. Have you backtest it? What is the profit ratio per month? I do not provide backtest. But you will find some in the forum. Yes, it is an EA (Forex Robot) which trades fully automated. but the EA still trades 0.01 lotsize. If your account balance is small, the EA trades the minimum lotSize which in your case is 0.01. What is your account balance? but still the the trades are 0.01. Even though I set AutoMM=True and Risk=3.0. send me your setup please ! BTW my stoploss is 1000 pips and TP is 100 pips on Daily timeframe. I see. The lotSize is calculated based on the SL. You will lose 3% of your account balance if the SL is hit. If you have a large SL like 1000, it is normal that the lotSize is low. You can increase the MM or set the lotSize manually if you want. Thank you for the reply. I know how now. Hi Yannick , have you completed this exit strategy so as the trade to exit on real cross of tekan/kijun? I see. This exit strategy closes the trade immediately and does not wait for a new candle to confirm the exit. I will split this exit signal into 2 functions. “Instantly” and “Confirmed”. It is on my to-do list. You will receive an e-mail when it’s done. i need my trades to begin with cross and end with tekan kijun cross. is this on the 2.01 version? if i buy pro it downloads the 2.01? I have implemented this more than one year ago. The current version is v2.13. If you purchase the Pro version you will get version v2.13 with the function you mentioned. Is is possible to set the TP to simply when you get signal in oppostie direction i.e. the next time conversion and base line cross? Do you mean the ReverseOnOppositeSignal? I think so – so you would set a stop loss as usual, but you would just let the trade run, and if it is successful, the trade stops when a new signal is generated but in opposite direction (specifically for Strategy 1: Tenkan/Kijun Cross). That way, you would set a Pip Stop Loss number, but not a Take Profit Pip count number for closing the trade. Or should it still have a TP Pip Count? No, you do not need to set a TP. Yes, you could use the ReverseOnOppositeSigal or one of the Exit Strategies. But you can also only use a Trailing Function. The Ichimoku EA offers you all these possibilities. Using the Strategy Tester (visual mode), you will be able to quickly visualize the different functions on a chart. Thanks. So if I use the ReverseonSignal exit strategy, do I need to input anything into the TP Pip Count part of the EA set-up? The TP has not effect on the ReverseOnOppositeSignal function. You can set a value or set it to zero. I am trying basic version of EA. Now it trades only 1 position at a time .If I upgrade does it can open few or more positions and keep open until take profit or stop loss hit ? At the moment all version have only one open position at the time. Before I go in and buy the pro version I just have a few questions which I hope you can answer. I use the ichimoku manually to scalp on 1 and 3 minute chart with private settings which are not default and I use heiken ashi candles. I wanted to know if any of these would affect the EA functionality? It should not affect the EA. But please try the basic version first. If it works, the pro version will also work. 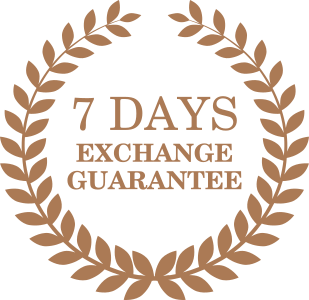 have you got an myfxbook account? Hello! will Ichimoku Kinko Hyo EA 2.0 work on Metatrader 5? No, only on MT4. I plan to make MT5 version of my EAs next year. Hi There, I just installed the Pro version. Looks good! What happen if you enter more than one entrees and exit strategies? – Whatever comes first get executed immediately? – Both conditions have to be met before order get executed? Pleased to hear. Rgrds. John. It it not possible to select 2 or more strategies at the same time. You have to choose one from a drop down menu. I have downloaded the EA. However, how do I install it to my MT4? If i setup Only filter strategy after let’s say a succes buy , EA start another buy…which i don’t want. For example price above kumho filter …EA open buy trades all the time as price is above kumho..but i want only when price breaks up kumho. Does all versions do the same thing? Unfortunately this is how the only filter strategy works. You can’t use SL or TP, since the EA will open a new trade immediately. Please use the forum for setting, since I do not provide any for this EA. You’ll find more information about the setting here. As mentioned in the Glossary of Ichimoku EA, the strategies are for Long or Buy signals oly. What about the Sell or short signals? Thanks. The sell (short) signals are also included. They are just the opposite of the long signals. Unfortunately, I do not have any statistics about the performance of the EA. Hello, I just downloaded Metatrader 4 Basic before buying the PRO.Could you tell me how to use this Basic robot, I put it on MT4 in expert consultant, so that it has access to a maximum of pairs I have to install it on Each pair? Is there another thing to do to activate it? Are SLs programmed, yes how many PIPS? Are setting needs to be changed according to our profile? You have to attach the EA to any chart you want to trade on. Enable AutoTrading in MT4 and make sure the smiley in the right above corner is smiling. Yes, there is a SL and TP. You can adjust the values. The EA is not pre-optimized so you have to optimize it first. Hi, I just bought the pro version of Ichimoku but cannot backtest it . Is it normal ? Hum sorry, my spread setting wasn’t right that’s why I couln’t test. Now I can. Have you used my guide? I wanted to know if your forex robot is compatible with the FXCM Trading station plateform? If no, are you thinking of making it suitable for it and at which price? No, it only works with their Metatrader 4 platform. I do not make programs for Trading Station. Unfortunately this is not possible by default. This would require a modification. Is it possible to create a kijun-sen trailing stop? It would be a stop which follows the kijun-sen +/- buffer. The buffer would be 50% of ATR. It appears this function is already there with “close below/above kijun sen”. Is it possible to add a buffer of 50% of ATR to this? I can add this as a custom modification for you. I just want some enlightenment about the Trailing Stop. My settings are these but not sure if its correct pls advice. Is these setting correct? Thank you. Yes this is a valid setting. 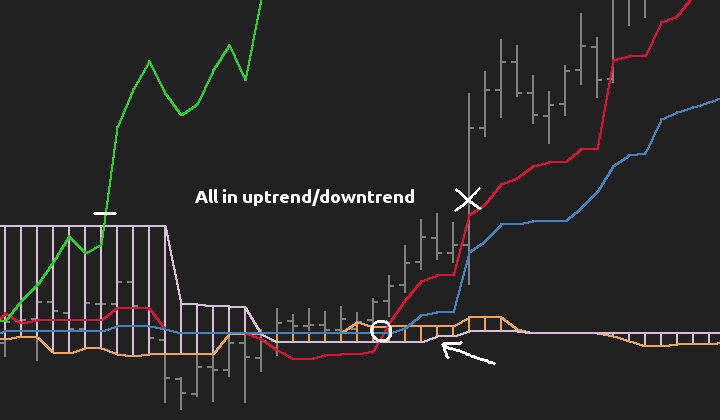 The TrailingStop will trail the SL 50 pips and starts at 15pips in profit. I am very confused: I use the pro versions of Moving Avarage Cross and Ichimoku. I got first one entry (bull), after some minuts another entry (bull) and up to three entries (bull). I do not mean to trade three opennings at the same time, I only want a single opening for each EA. How is it possible and avoit it? Normally the EA only opens one trade at the time. Please contact the support to resolve this. Yannick can do Harmonic Patterns if he put hes mind to it. Lets hope he will just do it. Just hoping you will create an EA based on Harmonic Patterns its getting popularity nowadays. Thanks. First I have to create a Harmonic Patterns indicator, after that I will maybe also make the EA. Will make it, if I have time. It sure is interesting, but 99.99% of the Harmonic Patterns traders never have read the books by Scott Carney, hence most indicators out there or the EA’s don’t work like they should officially. Other than that, in real harmonics trading one would at least consider to be looking for confluence, to support the patterns. Most EA’s ignore that and hence have poorer performance than live manual trading. Or what about waiting for a retracement before jumping in on a trade…? I’m not going to lay out all the details, there are too many…. If a pattern indicatior would come out her on Quivo one day in the future, I’d certainly want it to be able to scan multiple TF’s at the same time as well as multiple pairs. Thanks to the MLM company IML Harmonics trading has been hyped like super crazy. You said no need to set the time to trade because it is controlled by the time filter. My question is The Time filter–Use Timer and Use Local Time are both set to False, Do I need to set them to True? You have to set the UseTimer to true, if you only want to trade based on the time/day you enter below. Can I set off the Take Profit. I want that there will be not Take Profit just Exit strategy. Can I do that? Yes you can do this by settings the TakeProfit to 0. Can I set off Take Profit because I want the Exit strategy will be in control. If the Exit strategy is triggered and closes the trades I will take profit too right? The exit strategy will close the trade regardless if the trade is in profit or not. Do I need to set the Time to trade because in the default settings these paramaters are all set to zeros. No, you do not have to set this. By default the time filter is deactivated. Just a quick question. If I set Trade On New Bar = False, this will place an order right away without waiting for a new bar? And about the StopLoss and the Exit strategy who is in control? That’s all for now. Yes for the first question. If the signal for the exit strategy occurs, the EA will exit the trade regardless of the StopLoss price. I would like to see a line drawn from opening trade to close. It would help a lot to understand how it behaves. This line is already in use in some other EAs like Blessing. Could tell if this possible? I have just programmed a Trade Virtualization Tool. Hope this is what you are looking for. If I boy the PRO version, can I use it in backtest, demo and real and in different brokers? I mean, if it will work simultanously in several pairs, demo real and several MT4? Last: how we do pay? Yes, it will work on as many live and demo account as you want at the same time. Price above the cloud and Chiko span above the cloud and Tenkan Sen Above Kijun Sen? Price below the cloud and Chiko span below the cloud and Tenkan Sen below Kijun Sen? These are all entry filters. Set them to true and use the strategy “Only Filter”. I tested the Ichimoku EA Basic in Strategy tester. I set the strategy to ALL Uptrend/Downtrend. Well, the result is losses with 74 % -76% modelling quality. Does this result are much more the same than the Live result because I could not really tell if the Back test is reliable. Backtest are never 100% reliable. Please test it first on a demo account. Just one question can I use Ichimoku EA on 4 digits pricing and or ECN accounts? Yes, you can use it on both. If you want to test it before you buy, please download the free version. Hi Yannick, i installed your indicator in my MT4 but add to chart means it will not added in the chart.Help me to add the indicators. The Ichimoku EA is not an indicator, it’s an Expert Advisor. You have to install it in the MQL4/experts folder. See this manual. I just ‘purchased’ the Ichimoku free basic version to use on my demo. Where do I now go and activate it? Here is a manual on how to install an EA. can I use the Pro Version on Renko chart? I’m not very familiar with renko chart. Please try if the basic version works with your renko chart. If it does, the pro will also work. is there any demo version for testing? Feel free to download the basic version to test the entry strategies and entry filters. hello , this expert advisor works with micro accounts ? Just a short question…. does the ea only look for buy orders? or does it also take short orders in a bear market? According to your description it seems it only would work in a bull market. The entry is perfect because it started after the TS cross the KS,the exit should be the same also but in fact the exit done before the cross Really happened,and this Really affect my trade because mostly the TS go back again even if it was at the same level of the KS. So can you help me at this and make the exit point occurred after the cross Really happened ,i mean for example at the buy trade it will exit only if the level of the TS is below the KS, not above or equal. We wish you good luck as you move on to new and different challenges. we are confident that you have the skills to solve any problem. You can now download the new version with the functions discussed above. I purchased the Advanced version of this EA yesterday and I want to upgrade to the Pro Version. Do I have to pay full price for it or am I able to just pay the difference to upgrade? Yes, you only have to pay the difference. Please send me your purchase id per mail and I will send you the payment link for the difference. Version 2.01 is now available with 2 new entry filters and 2 new exit strategies. Download it in your account. Is there an option to choose one or some of the 7 entry strategies in the paid version? Hello, how do I make use of the trailing stop and break even point?